When you buy local, you are supporting the people who have put their heart, soul and sweat (but not like, in the products – we promise this is a hygienic gift guide) into making these artisanal products right here in the heart of Canada. In other words, by supporting them, you are encouraging them to keep making delicious products, creating one delicious circle between producer and consumer. That’s why we’ve created this handy guide – focused on sweet, savoury, and sipping – for all you folks out there looking for culinary presents that you can stuff both a stocking, and perhaps your face, with. SMAK DAB Mustard – It only makes sense to start this list with the queen of all condiments, and SMAK DAB’s lineup is second to none. The hot honey jalapeño one is our current go-to for sprucing up sauces, while grainy mustard curry Dijon makes for a magnificent salad dressing, particularly when you get those caviar-like bursts of seeds. Dr. Beetroot’s ketchup – Normally, if you are an adult you wouldn’t follow mustard with ketchup (as Obama has made clear to Bourdain, no one over the age of 8 should put it on a dog), but we are making an exception here as this locally produced beet ketchup (it’s made at the University of Manitoba) is nothing to turnip your nose at. In fact, it’s really quite good (just don’t put it in your kids stocking, as that will not go over well). La Cocina thin tortilla chips – Okay, these would be a terrible stocking stuffer as they are so brittle (when purchasing, always make sure they are at the top of your bag), but it’s that delicate quality that makes them the best tortilla chips ever. They are made in Ste. Anne, Manitoba – a little knowledge for you to drop when you bring them to your next holiday party. Gourmet Inspirations – Since 2013, chef Peter Fehr has been hard at it developing a range of sauces, marinades, and more, all of which would look absolutely dashing in one of those fancy gift baskets you can make. The seasons have changed, and the crew was looking a little tired and chilly, so I decided it was time to freshen up their looks with some fiiiine new jackets! You’ll be able to catch some of these beauties making their first trip down the runway this weekend @thirdandbird Christmas market, be the first to check out their new look! Many ’s to @labelsunlimited for the great service and stellar job! Flora & Farmer - Anyone who has seen chef/owner Kim Bialkoski working it at local markets knows that she has the passion and personality to perhaps take this little condiment company to the big time. Her Savoury Fig Spread is just begging to be put on a pizza with cured pork and cambozola, while all her other products would make welcome additions to your festive cheese and charcuterie boards. Chocolates – For starters, if you have someone with a sophisticated sweet tooth on your list you best go to Chocolatier Constance Popp’s 3rd Annual Christmas Market on December 3 (1 p.m. to 5 p.m.). There (and throughout December), you can pick up countless holiday themed creations, including the brand new We Three Truffles, made with edible gold, real frankincense and myrrh (along with tangerine, fig, sumac, anise, lemon and honey). You can also get some really incredible edible centre pieces at CCP that would make the one amazing host gift. As well, there are no shortages of outstanding chocolate shops and chocolatiers in the city including Aschenti Cocoa (782 Corydon Avenue), Decadence Chocolates (70 Sherbrook Street) and Mordens’ of Winnipeg (674 Sargent Avenue). Beeproject Apiaries – Owners Chris Kirouac and Lindsay Nikkel have urban bee hives located across the city and in quite residential neighbourhoods, from which they produce their small batch honeys. In this, you literally can get a taste for the city, as a bee’s honey will differ depending on where and what they are pollinating (more on that in a CBC piece I wrote here). They sell their honey at fine retailers across Winnipeg. Capital K Distillery – Winnipeg’s newest, and currently only distillery has one fantastic lineup of premium spirits, all of which will look absolutely smashing wearing a bow around the neck under your tree. Their vodka and gin are seriously some of the smoothest we’ve ever tasted while they’ve recently come out with some infused numbers that are really great. 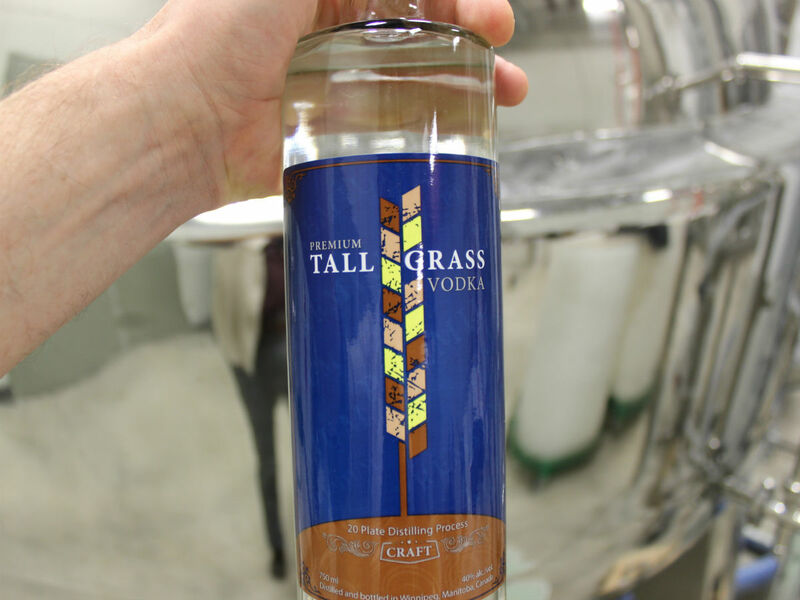 Our guide would be as such: if the person on your list is into pre-gaming before heading out for NYE, go with the Tall Grass Espresso Vodka (made using Deluca’s coffee beans) which is fine on its own on ice, or with a little splash of soda. If someone on your list is a hair-of-the-dog enthusiast, go for the Tall Grass Dill Pickle Vodka, which makes one magnificent Caesar that will help them recover on the first morning of 2018. (And please note: here at PCG we advocate drinking responsibly). Freshly roasted coffee – While the beans aren’t grown on the prairies, we certainly now do our fair share of roasting here. Three options immediately come to mind, those being the aforementioned Deluca’s (950 Portage Avenue) – who offer a range of beans, including free trade organic varieties; Black Pearl (460 Dufferin Avenue) – whose owner Trevis Boyd has been roasting in Winnipeg since 2000, and who is extremely knowledgeable about all aspects of coffee, from sourcing, to roasting, to brewing (so he’s great to chat with if you are looking for a particular flavour profile); and Dogwood Coffee Co. (171 McDermont Avenue) – who you can watch in action inside Forth, where their beans are also brewed (along with at other fine cafés across the city). Dogwood also offers brewing classes that would make a great gift for that person on your list whom is looking to get the most out of their beans. Growlers and Cans (so just clap your hands, just clap your hands) – All mid-90s Beck references aside, Winnipeg has a fine roster of locally produced brews that sure will make any stocking our Secret Santa gift. You can find our full guide to all the breweries in the city right here, the majority of which sell in growler (which will only fit in one huge stocking), 473 ml bottle, and can format. As well, many of them produce special seasonal brews that are most-fitting for the holidays. Finally, if you are looking to give us a gift for providing you with culinary information throughout the year, we have just one request, and best of all, it is free! If people could stop using the words appies, foodie, disruptive, elevated and #influencer we promise that it will be all the holiday cheer we’ll need to see us into 2018.